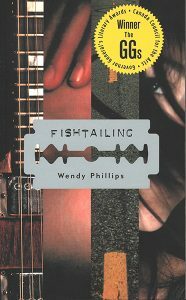 UBC iShool alum Wendy Phillips recently won the Governor General Literary Award for her book Fishtailing. A graduate of The Masters of Children’s Literature program, Fishtailing started out as an assignment for her writing for Children course. Congratulations, Wendy Phillips! Teen violence, bullying and the burning quest to fit in are presented in the poems of four unforgettable high school students: Natalie, Kyle, Tricia, Miguel. Their stories unfold in this explosive new book told in free verse. A story of teen angst like no other, it is based on fictional characters but is rooted in the realities of the teen experience.When Natalie moves to a new high school she befriends three unwitting victims into her spider-web of manipulations, lies and deceit. Through the poetry and assignments of an English class we glimpse the world of the four teens.